If like me, you live in a rural area, you might not see many Land Rovers other than your own. I can drive through long stretches of Maine, New Hampshire, and Vermont without waving to one. 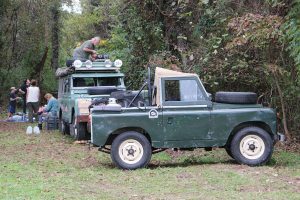 When headed to the ROAV’s Mid Atlantic Rally in Pembroke, VA, last October, I had to pleasure of immersing myself among 125 Land Rovers. A staggering 27 Defenders, 16 Defenders, 11 Range Rover Classics and a boatload of Discovery 1-4’s brightened my weekend. 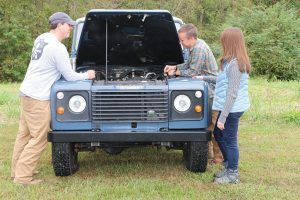 Later that same month, a visit to the Old North State Land Rover Club’s Uwharrie Rover Expedition added another 120 as eye candy, also ranging from Series Land Rovers through the latest Range Rovers. Fancy a Land Rover 110? 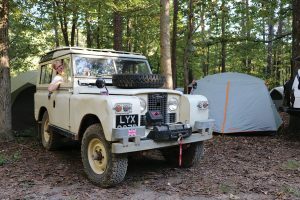 Mark Hallahan, Jacksonville, NC, brought his ’85 RHD 300 Tdi Land Rover 110 to the Old North State Land Rover Club’s Uwharrie Rover Safari last mid-October. The retired USMC Colonel ceased his life as a “Jeep guy” when he found this one for sale in Vermont. He and his son Ransom boarded a flight and drove the Land Rover home. couple of refurbishments. Their son, Seth, who brought his kids Landon and Charlee, and daughter Rebecca have enjoyed many family adventures in the 109”. How often do you see an ’89 Range Rover Classic? Certainly not often in the winter-salted roads of the Northeast. 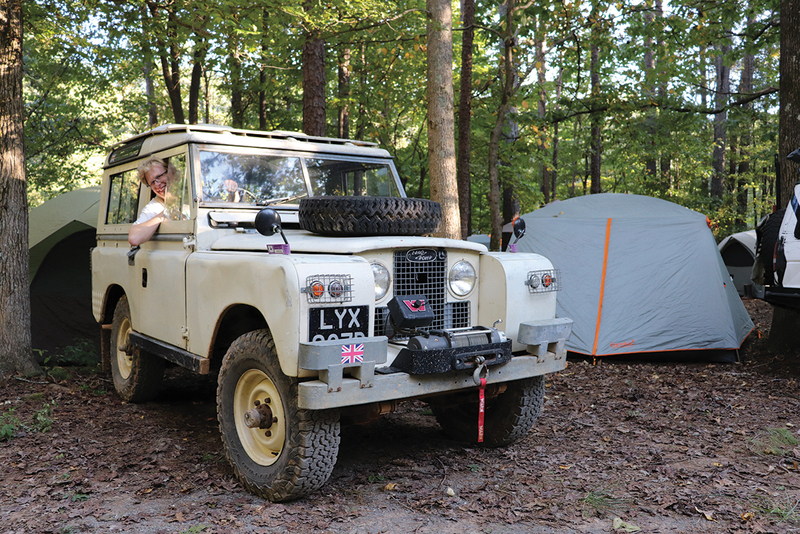 Paul Zuk, Apex, NC, brought his Eastnor Green SWB to Uwharrie. His daily driver is an ’07 LR3, which runs terrific but whose odometer stopped working at 199,999. How often do you see a genuine Camel Trophy Defender? Matt Hedrick, Wake Forest, NC, found his ’91 Defender 110 Camel Trophy in Malawi five years ago. The 110 served as a support vehicle for the retracing of David Livingstone’s trek from Dar es Salaam, Tanzania, to Bujumbura, Burundi. After purchase, Matt drove it from Malawi through Zambia, Botswana, and South Africa on three different trips. It then spent three years in Canada before he drove it from New Brunswick to North Carolina. Events do not occur by magic or through the work of elves. They happen because of the tireless energy of enthusiasts who create, manage, prepare, organize and then run them. If you attended MAR and enjoyed yourself — as I did — you’d have seen David Short, Bob Steele, Michael T. Boggs, David Powers, Larry Michelon, Ben Shelton and Stuart Moore, giving up a tremendous amount of time so we could enjoy ourselves. You also had the chance to meet Sam Moore, the owner of Wheatland Farm, a Series IIA owner who shares his 700 acres with enthusiasts. 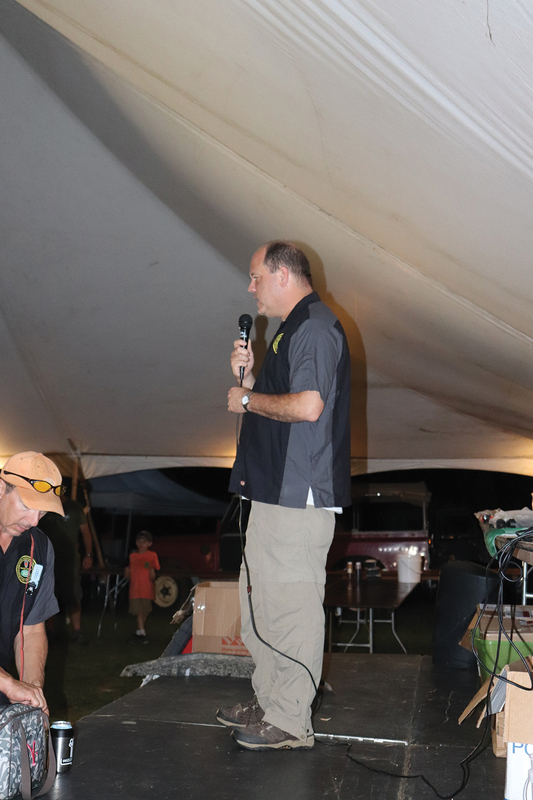 If you made it to the Uwharrie event in Troy, NC, you would enjoy meeting Dan Ratcliffe, Steven Ratajczyk, Charles Allen, Corey Rice, Jason Bayer, Cyndi Phillips, Rick, and Tiffany Prudhomme. Karen Best and Jonathan Slater exhorted you to part with money for the raffle prizes. Jenna Phillips designed the handsome Uwharrie poster. A beautiful ’08 Range Rover caught my eye, especially as it carried a Tennessee plate reading, “Rover1.” Clearly, there’s an enthusiast behind it. Tom Bache moved to Bristol, TN, for his long-time home in Pennsylvania. Back in 1995, he sent a note to the then-Rovers North Newsletter, inquiring whether any reader in eastern Pennsylvania might have an interest in starting a Land Rover Club. 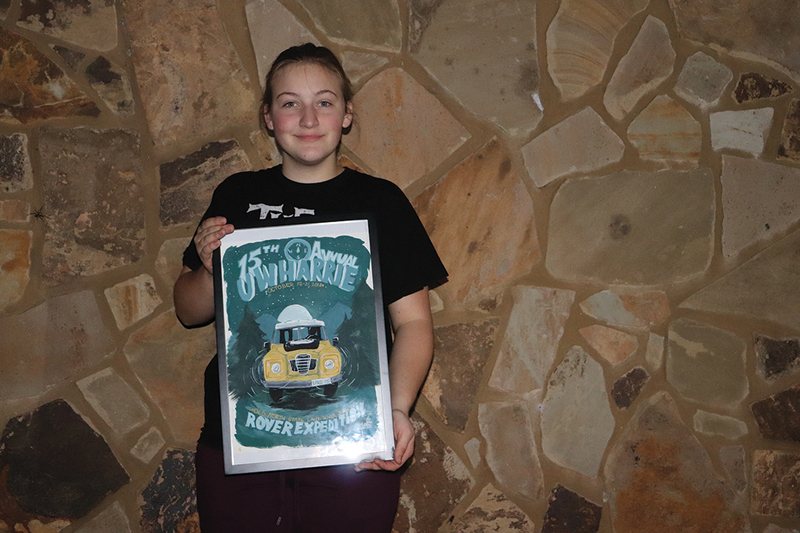 The result was the long-standing R.O.V.E.R.S, the Royal Offroad Vehicle Expeditionary and Recreation Society. An avid Series enthusiast, Tom still has a ’57 Series I 88” as well as a ’90 Land Rover 90. “You feel like it can take you anywhere you want to go,” he said. At MAR the trails range from greenlaning on narrow paved and dirt roads, enjoying spectacular views, through rock crawls to steep descents that have various body parts clenched tightly. 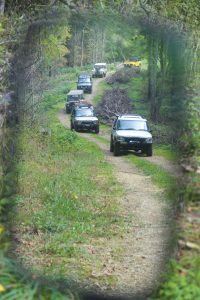 Each year, a hospitable landowner urges the creation of new trails, which means that you’ll find a new thrill every year. It doesn’t take much rain [and there’s often plenty] to make the rocky surfaces slick and the Virginia clay thick and gooey. Plan on spending time cleaning yourself and your Land Rover. 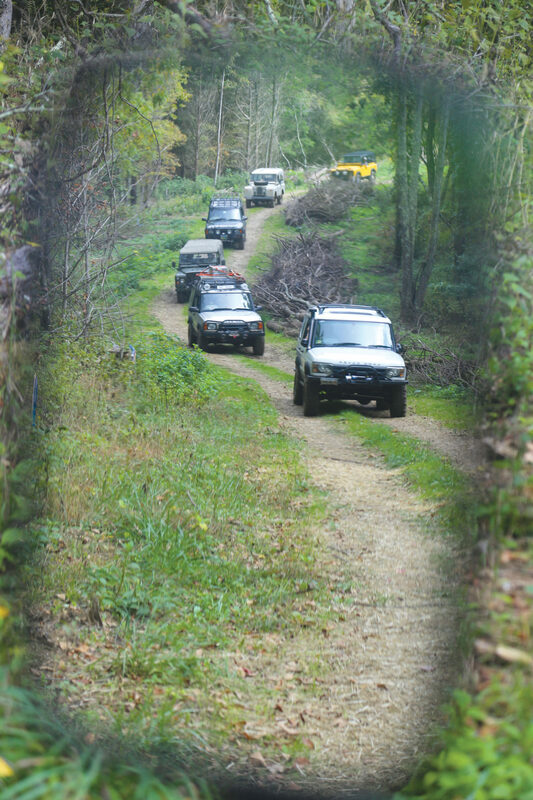 The Uwharrie National Forest features numerous well-maintained trails specifically for off-roading. Some take you past equestrian paths, small farms, and lovely campsites. Others send you through ravines with ascents or descents, made more challenging by this year’s rain. To help reduce chaos on the trails, trail leaders line up at the jam-packed El Dorado Outpost Store and line up by experience level. There’s plenty of marshalling along the trails to reduce the possibility of vehicle damage. Virtually every Land Rover event in the UK includes an RTV [Road Tax Vehicle] off-road course. It’s a perfect way to test your off-road skills without risky damage to your vehicle. Rovers North sponsors the Trials Course at MAR annually and sent me to organize and create it again this year. An airline failure delayed my arrival for a day, which forced a scramble to set up the five-section course, but with the help of many volunteers, we pulled it off. 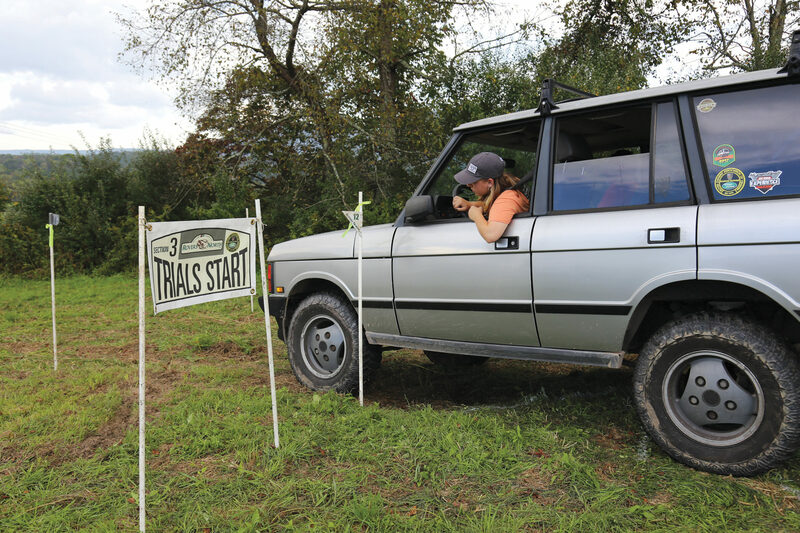 The key elements of a trials course are that you are moving continuously through a slalom gate narrow enough to require precise driving, with obstacles at or near the gates, and turns that test your spatial knowledge of your Land Rover’s turning radius. Planning your next move while successfully navigating the current obstacle tests even the best drivers. Thanks to everyone who gave up hours to help create and judge this year’s competition. James Clayton, Asheville, NC, brought his recently-purchased Series IIA. Few things entertain me more than tinkering with someone else’s Land Rover — particularly if they live in another state and cannot exact retribution. Even better, he let me drive it and get my Series to fix far from home. I’ve not heard from him since the event, so either it made it back without incident or he’s not speaking to me! 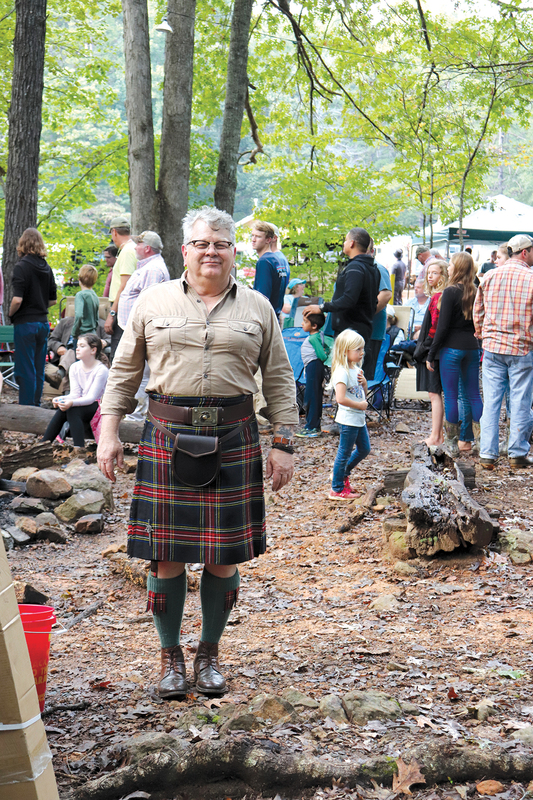 Land Rover events have become far more family-friendly this century, and both MAR and Uwharrie saw lots of families loaded up with children, from toddlers through high school. Whether wandering the terraced campsites at MAR or taking over much of the center common at Uwharrie, it’s clear the kids had a terrific time. Dale and Christie Knepp, Marshville, NC, loaded up his Tithonus with Kaitlyn, Kelsey, Brooke, Carter and Riley “for ballast.” Larry Michelon, Raleigh, VA, attended with his daughter, Logan, who’s become an avid and capable off-roader. Timothy Beeson, Rockfish, NC, so enjoys his P-38 that he’s set up Province Overland, a mobile Land Rover mechanic company. 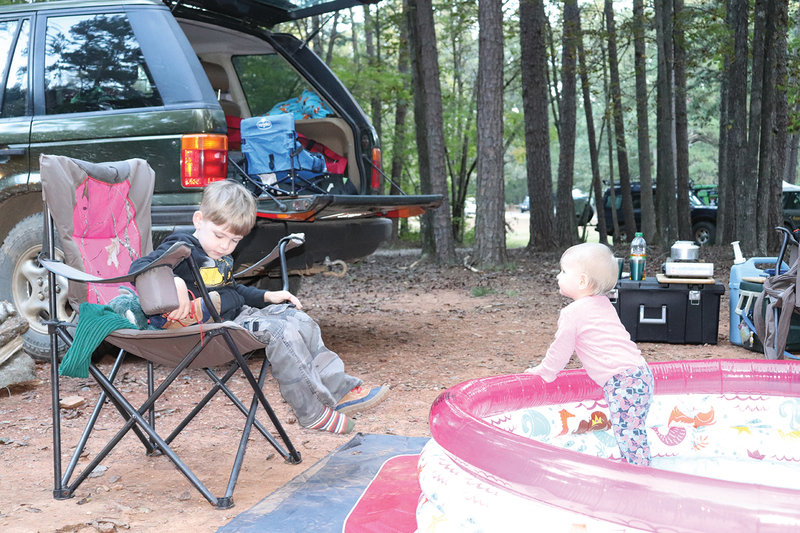 His campsite featured a wading pool to keep his kids happy. Regardless of your daily lodging — room, apartment or house — change is good. 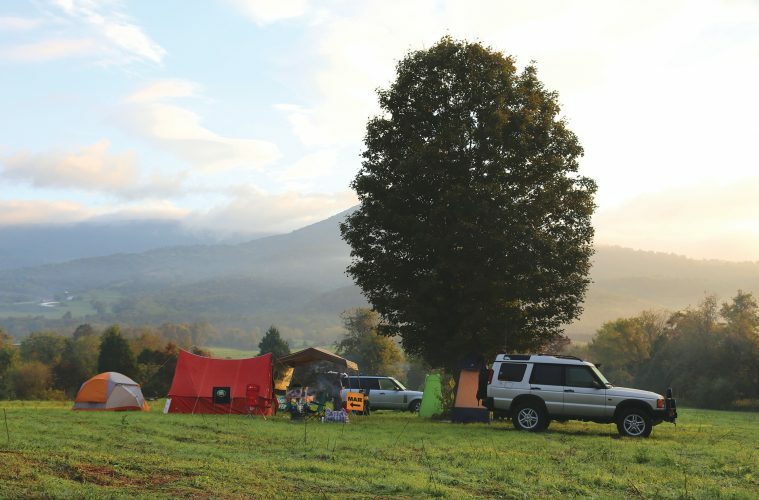 The fresh air of the New River Valley in the Appalachian Mountains of southwest Virginia or the tranquil campsites near Badin Lake, Lake Tillery and Falls Reservoir at Uwharrie provide welcome changes from your usual vistas — especially if they’re paved roads or highways. If camping seems too primitive, motels and lodges of various star ratings reside nearby. Over several years I’ve found Land Rover enthusiasts become Michelin-star chefs when at home they might just phone in a pizza order. I highly recommend the campsites of Robert Davis, Chesapeake, VA, Mark Garreton, Portsmouth, VA and Craig Jones, Leesburg, VA. If you attend MAR, you can give your “friends” a night’s reprieve from mooching by enjoying a wonderfully-catered pulled pork/chicken meal. America’s Got Talent has nothing on MC’s who enliven events. If your preference runs to The Voice, David Short’s gentle drawl kept raffle ticket holders at MAR on the edge of their seats, while dishing out taunts as if he were the Speaker of the British Parliament. 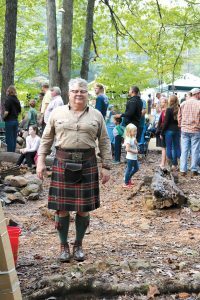 If your preference runs towards America’s Next Top Model, don’t miss Dan Ratcliffe in his kilt at the Uwharrie Raffle drawing next October. Scotland would be proud of his tartan.